John Robie is a former jewel thief turned war hero living a quiet life on the French Riviera. After a string of jewel heists begins to plague the area, he enlists the help of an insurance agent from London to clear his name and catch the real cat burglar. Alfred Hitchcock is one of those directors where everytime I head into one of his movies I find myself thinking “well, there’s certainly no way it can be as good as everyone seems to think it is. Hitchock is clearly one of those overrated directors that film snobs like to lord over the general populous because they ‘get it’ and we don’t.” And everytime I head into one of his movies with that mindset I am proven demonstrably incorrect. Hitchcock has certainly earned his title as the master of suspense, but I believe he is also a master of entertainment. He is able to deliver tense thrillers and experiment with different tones within the machinations of the thriller without compromising the tension or entertainment value. To Catch a Thief is a very light-hearted Hitchcock film that is a blast to watch. 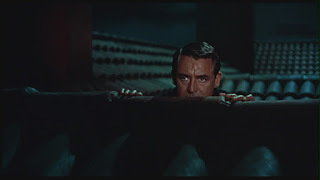 That isn’t to say it’s without tension or thrills, it just means that rather than filling the film with a nihilistic sense of dread like Psycho, he is able to elevate John Michael Hayes’ top-notch script by emphasizing the crackling dialog and letting Cary Grant and Grace Kelly’s chemistry speak for itself. Hitchcock is able to do his best work when he realizes that laughs are just as effective as scares and is able to break the tension by putting all these jokes front and center. Some of it plays a little silly or on the nose in 2016 (like the innuendo-laden fireworks scene, or the car chase that is resolved by having a chicken cross the road), but by doing this he is able to give the audience a break in the tension and then jump right back into it creating these little pressure release valves in the story which keep the viewer invested but never anxiety-ridden. This film marks his first collaboration with Grant and his last with Kelly and they are both incredible in their respective roles. Grace Kelly brings a dignity to Frances that likely would have been lost to any other actress. She is a great character who is Robie’s match every step of the way, never shying away from trading barbs in a flirtatious way. 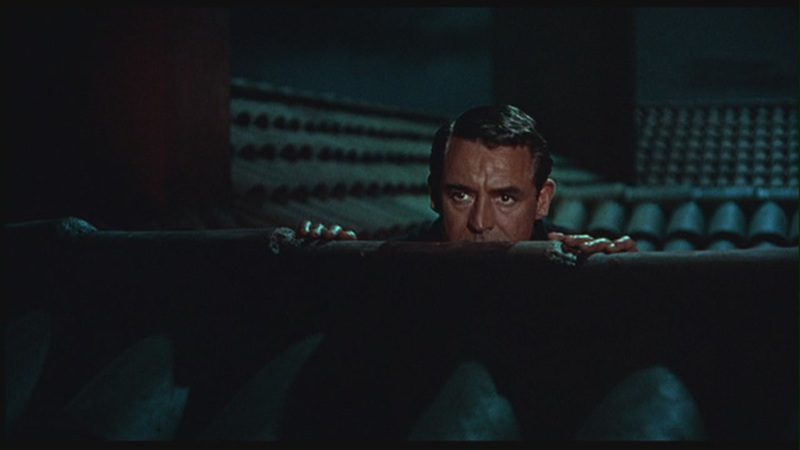 On the same token, Cary Grant is one of the all-time great leading men. He imbues John Robie with both a confidence in his ability as a thief and vulnerability in being wrongfully accused that is incredibly dynamic. Of course, he also went on to play a similar character in the equally rousing North by Northwest. Discussing Hitchock's cultural impact at this point would almost seem rote at this point if it weren't still happening today. In To Catch a Thief you can see just how much the Hitchock style lent itself to the James Bond franchise and subsequent spy films thereafter. The influences don't stop there, however. Just in this one film a savvy viewer can see how Hitchock left his mark on just about every director in the 1970's and that while that decade is very often considered one of the best of all time for cinema, they were simply building on the foundation laid by the man with the infamous silhouette. Overall, To Catch a Thief is a superbly well made movie that looks great in Vista Vision and is backed by a stellar Lyn Murray score (I never notice music in movies, it should be saying something that I couldn't help but comment on it here). Anchored by two top-notch performances and a lithe sensibility that makes the movie itself feel like the French Riviera, I can't think of a better starting point for someone wanting to get into Hitcock movies but is a little intimidated by his darker fare. Kill a couple hours with this one, it's a blast.